Laura Dresser from COWS speaking with Lake Effect's Joy Powers. A new report from Madison-based think tank COWS takes a deep dive into the numbers and outlines different metrics for measuring the state’s level of disparity. 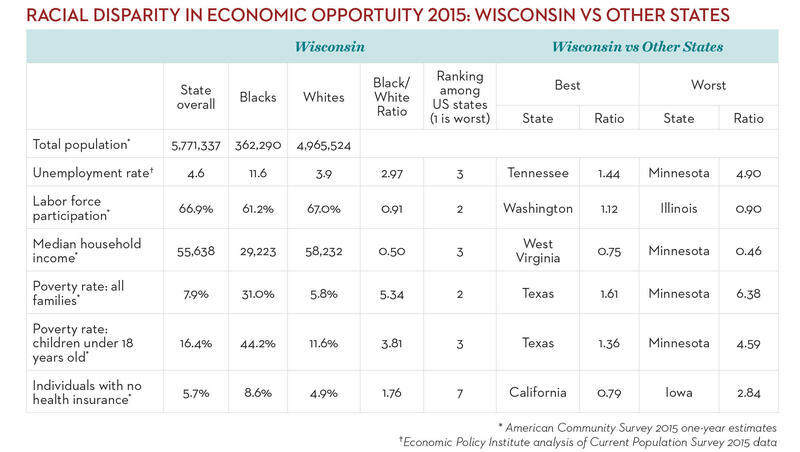 Wisconsin ranks as one of the worst states in the nation for Black-White disparity in nearly every category. Although the outcome is unsurprising, it is unusual. The disparity in Wisconsin dwarfs that of other states around the nation. "Wisconsin, if you measure the disparity, the gap between outcomes for whites and outcomes for blacks, you get a bigger gap than almost anywhere else in the country." "There are two things that people tend to think that I hope this paper helps change, and one is [this idea] that, 'Well, you know, every state in the nation has racial inequality. Wisconsin's like every other state.' And in fact, actually, that's not true," says Laura Dresser, one of the authors on the report, and the associate director of COWS. "Wisconsin, if you measure the disparity, the gap between outcomes for whites and outcomes for blacks, you get a bigger gap than almost anywhere else in the country," she continues. The second myth that Dresser often comes across is that this disparity has always been a problem in Wisconsin, but that is also untrue. "In 1979, these statistics didn't look like this. Actually, African-Americans in the state earned slightly more than national average wages for African-Americans. And so, in 1979, it was not one of the worst states in the nation for African-Americans to be. That emerged and evolved over time, and that suggests how important economic opportunity and policy are to thinking about solving the problem," she explains. "An average unemployment rate for whites in the state now is just barely below 4%, and for African-Americans in the state, 3 times higher, basically 12%, still at recession levels of unemployment." There are many reasons for the increasing disparity in Wisconsin, but Dresser believes that part of the story goes back to the disappearance of factory jobs in the 1980s. As jobs left, African-American workers were often the first to be laid off. That, combined with insufficient access to jobs, decimated the black community in Wisconsin, and continues to affect employment levels throughout the state. "An average unemployment rate for whites in the state now is just barely below 4%, and for African-Americans in the state, 3 times higher, basically 12%," she explains. "Still at recession levels of unemployment. Above 1 in 10 workers looking for work, actively seeking work, and unable to find a job." By comparison, that number is fewer than 1 in 20 white workers, making Wisconsin the third most disparate state in the U.S. The report also looks at labor force participation, which is a measure of how many adults who could be participating in the work force are either working or seeking work. "At some point, people give up looking for work. Work is so unattainable, inaccessible, that they quit looking or otherwise, just cannot connect with the labor market," says Dresser. Although Wisconsin has a generally high rate of labor force participation, the disparity between black and white Wisconsinites ranks second worst in the nation (Illinois holds the top slot). With unemployment at recession levels, black households have continued to do worse. "More than 4 in 10 black kids in the state live in poverty... The poverty rate for children under 18 is 44% in this state and that is high by national standards. The white rate is 12%, which is sort of low by national standards." 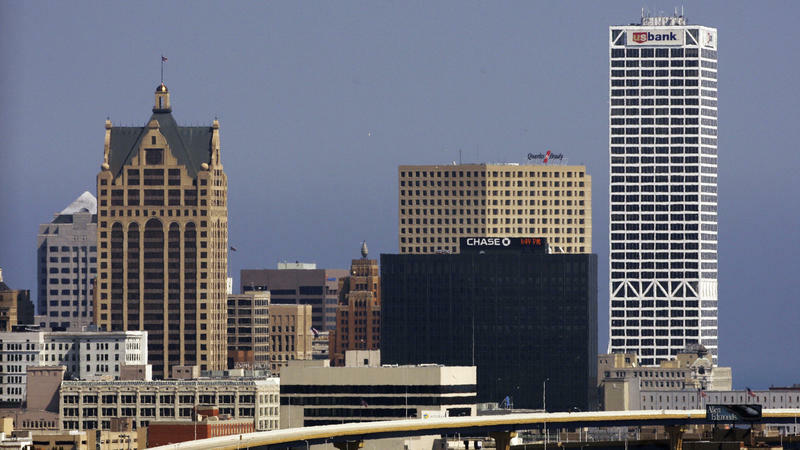 "White households in Wisconsin, the median... if you kind of line it up from highest to lowest, and pick the one right in the middle, you'd find a household with about $58,000 of annual income," Dresser explains. "And if you do the same with the black households in the state and picked the one exactly in the middle, household income there is $29,000, basically half the white household income." Again, Wisconsin's disparity is outdone by only two other states. With many black households living in poverty, it may come as no surprise that black children suffer disproportionate rates of poverty. "More than 4 in 10 black kids in the state live in poverty... The poverty rate for children under 18 is 44% in this state and that is high by national standards. The white rate is 12%, which is sort of low by national standards," says Dresser. Black kids are 3.8 times more likely to live in poverty than white children in Wisconsin, making it the third most disparate. By comparison, Dresser says that in states like Texas, black children are only 30% more likely to live in poverty than white children. Education is perhaps Wisconsin's worst marker. Whereas white students in Wisconsin have higher than average rates of graduation at 93%, black Wisconsinites graduate at a much lower rate, at just 64%. By most markers, Wisconsin is the worst state in the nation for black students. "The background condition of not having sufficient resources to invest in the infrastructure that would make black kids' lives better; you know, the political fight that we have over resources and the lack of attention to really focusing on investment in Milwaukee, makes all that work that's going on harder." "A relatively good rate for the big share of the Wisconsin population, that is white. The school is working pretty well there; better than the national average. But then that 64% rate for the black population is pretty low, and the disparity, to see that big a gap between the two, it makes us the worst in the nation," Dresser adds. In Alabama, the black and white graduation rights are basically the same. Dresser says there isn't any easy solution for mending the gap, but she hopes politicians will bring light to the issue by trying to better Milwaukee Public Schools and focus access to transportation and job opportunities. While she says there are many people working to make conditions better in Wisconsin for the black community, there are still a lot of obstacles to overcome. "The background condition of not having sufficient resources to invest in the infrastructure that would make black kids' lives better; you know, the political fight that we have over resources and the lack of attention to really focusing on investment in Milwaukee, makes all that work that's going on harder," says Dresser.